How do we co-exist with machines? The following post reflects my key takeaways from transmediale in Berlin this past weekend. transmediale is a mind-bending 30-year-old event that facilitates “exchanges between artistic and academic research on technological development and their entry into wider public domains” (across and beyond – a transmediale Reader on Post-digital Practices, Concepts and Institutions). 1. Non-centrality is a new paradigm. With machine learning systems and artificial intelligence agents on the rise, what does it mean to be human? Or, non-human or “not not” human? It’s becoming harder to tell where our actions end and machine action begins. The planetary scale of infrastructures and processes signal quite clearly we are a part of a much larger system at work. We are no longer central, but rather living in non-centrality. What does this mean for our role in world where there are new technical and environmental actors? One example of this non-centrality is micro-decisions brought up by Florian Sprenger. Big data is enabling technical decisions in split seconds at the infrastructure level, above and below our threshold for cognition and comprehension. Look at how the Bosch hardware in this Telsa S (video below) can make decisions at the data level in split seconds to avoid accidents unseen by the driver. We are now joined by other actors in the mix, both natural and technical actors. How will companies, from auto manufacturers to retail banks, think about their role, vision and values in this non-centrality? Will empathy for the customer or human becoming de-centered become more important than ever? What will AI agents from companies look like? As humans, we are in a situation of ongoing mediation due to the rise of automation and agency beyond ourselves (decentering us in the middle). We are in the middle of 1) not only us having agency and 2) a position to traverse a complex web of things beyond us - technologies, situations, environments etc. This non-centrality is more complex, nuanced and incremental than the end of the world scenarios created by fictitious Hollywood movies. To traverse it means to understand the critical infrastructure of the digital world and mediate across institutional, economic, environmental, technological bounds. 2. Digital culture is manifested in material terms. Technological materiality, capitalism and the environment are all closely paired. Data is material after all and the machines it lives on are composed from minerals extracted from the ground. In one example (below), Admin Thalhammer takes us deep into the mines of Cerro Rico, the Silver Mountain. The documentary illuminates the life threatening mining process local miners endure to extract minerals from the ground that make up digital goods. In another example, Louise Henderson takes us to the e-waste dumpsites in Ghana. 3. Artistic response is adapting. Artists, musicians, programmers, theorists, philosophers who are engaging in post-digital practices find themselves “decentered” and traversing across audiences, mediums, ecologies, infrastructures, processes, politics and human to non-human interactions to both optimistically consider and critique. 1. Constant Dullaart created a convolutional neural network manipulating images from current media politics. 2. 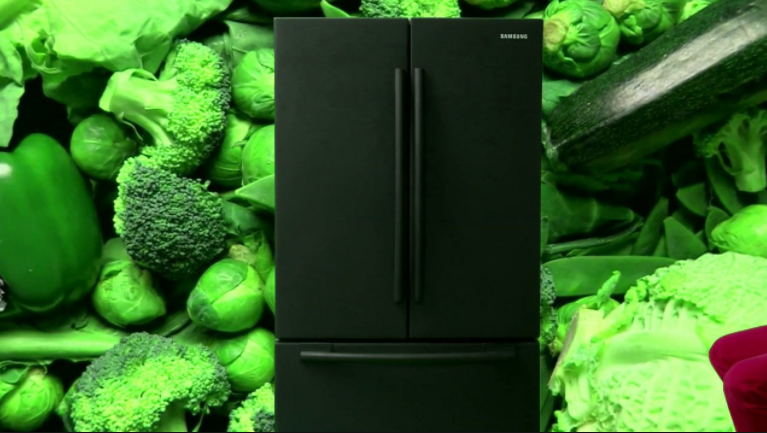 Mark Leckey’s GreenScreen Refrigerator Action juxtaposes a Samsung refrigerator with a cosmic green screen environment and a monologue of its own existence. 3. Jeroen Van Loon constructs a model of the internet based on ephemeral data. 5. Morehshin Allehyari and Daniel O’Rourke created a 3D additivist handbook (and the origins of a movement) sourced from hundreds of entries that illuminates the emancipatory function of 3D printing. 6. Pinar Yoldas imagines AI as an adorable kitten discussing past events such as climate change from the year 2039. 7. Rosa Menkman's performance DCT: SYMPHONING places two algorithms on an odyssey about technological change through complex mediums and image fields. 1. What will the value systems of machines be? How will we/they determine who has access and who does not? 2. What role will companies, platforms and institutions from car to electronics manufacturers, and research enterprises like Google to SpaceX, play? 3. How will the artist’s practice shape itself outside of the studio, coupled with new infrastructural concerns and means of production, embedded into urban centers and ecological environments? How will the identity of the artist shift? 4. How will the battle over the clusters, platforms and networks that make fake news believable play out?